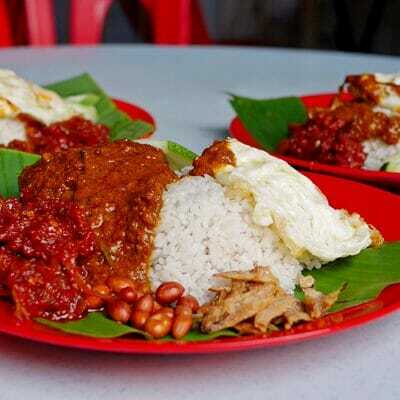 Good nasi lemak isn’t hard to come by if you’re in Malaysia – there are plenty of options around, from posh versions in shopping malls and hotels, to the simpler ones in the form of packets. While I do indulge in nasi lemak bungkus every now and then, my ultimate nasi lemak indulgence includes fried chicken and if possible, some sambal sotong on the side. While the notion of best nasi lemak is fairly subjective, a good one should come with adequately rich coconut rice, fiery sambal, roasted peanuts, crunchy anchovies and crispy fried chicken. At least that’s what I feel. 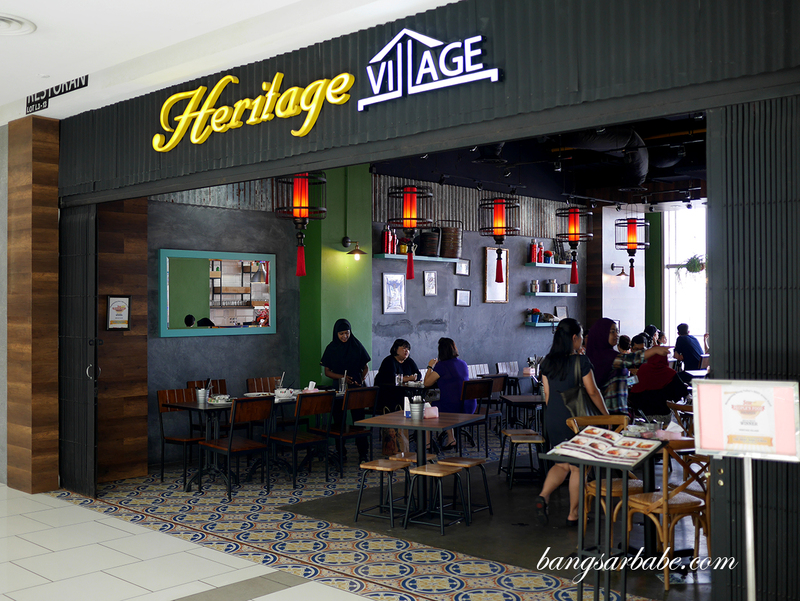 Heritage Village made headlines for “The Best Nasi Lemak” in one of the local dailies, surpassing nasi lemak veterans like Village Park and Tanglin Nasi Lemak. That title alone, was worth the trip to see what the fuss was about. 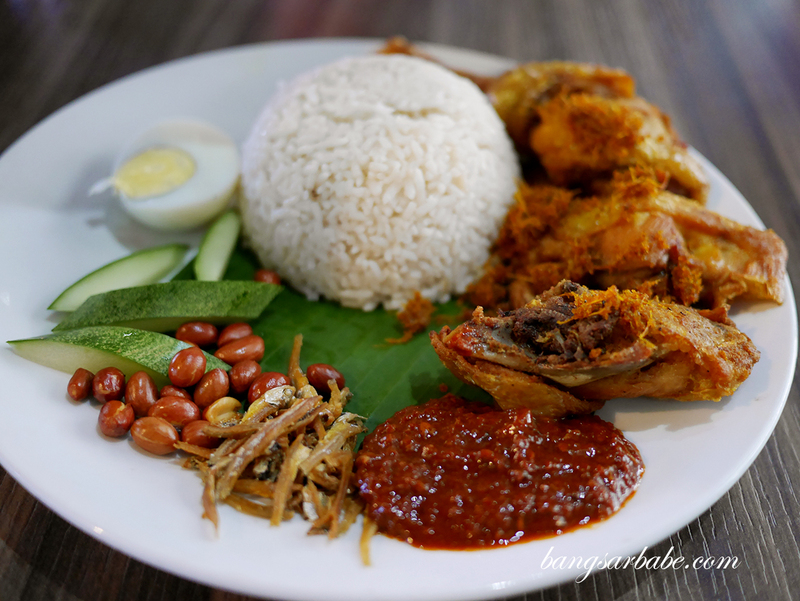 Heritage Village’s nasi lemak comes with ayam goreng berempah and the sambal is on the sweet side. That said, I didn’t see why it was better than the other two veterans. The chicken was nice and crisp but that’s about it – nothing that knocked my socks off. 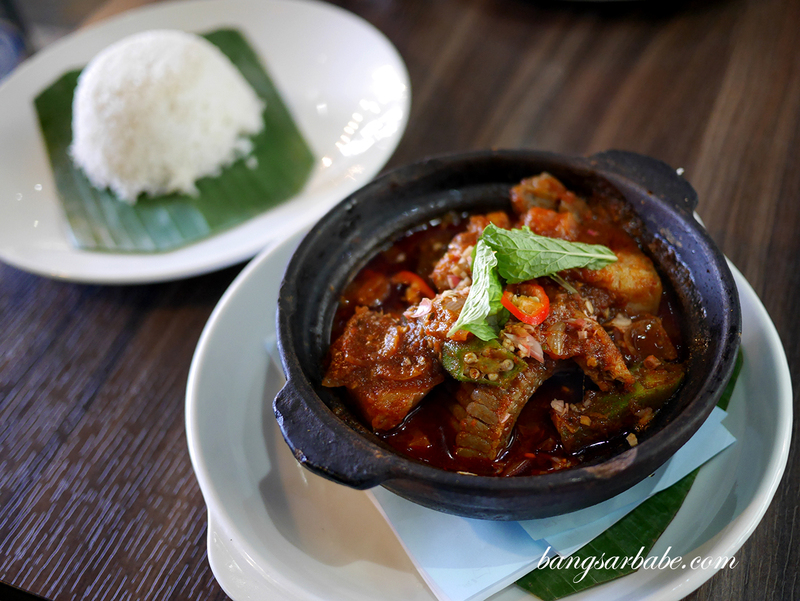 I did however, find the asam pedas quite good. This was spicy, tangy and addictive with white rice. It takes about 15-20 minutes to prepare so wait, and you will be rewarded. 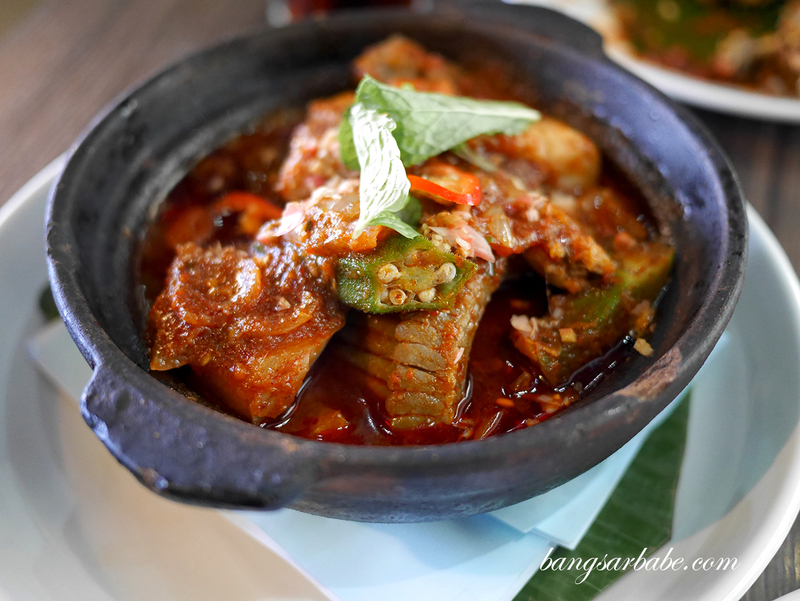 The type of fish varies for this so if you’re lucky, you get ikan pari (stingray) which is my favourite when it comes to asam pedas. 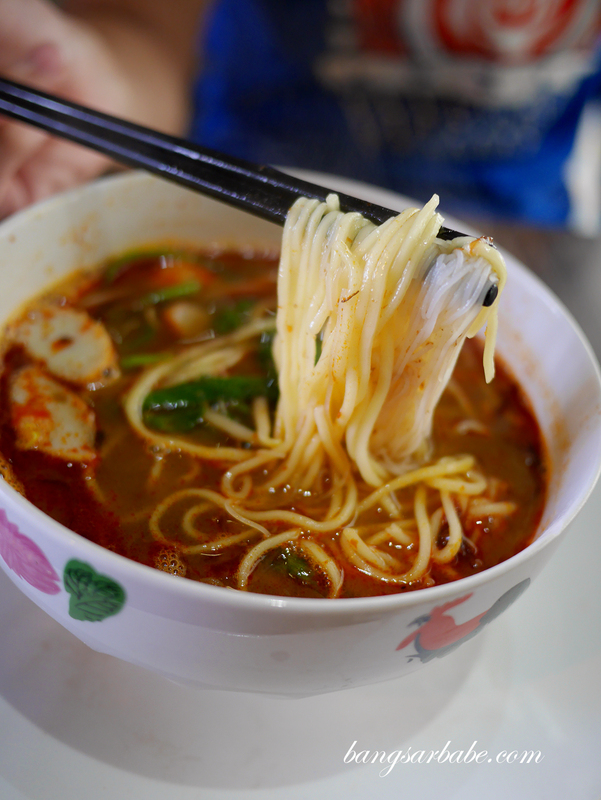 Skip the prawn mee here as it lacked character and oomph, so I was told. 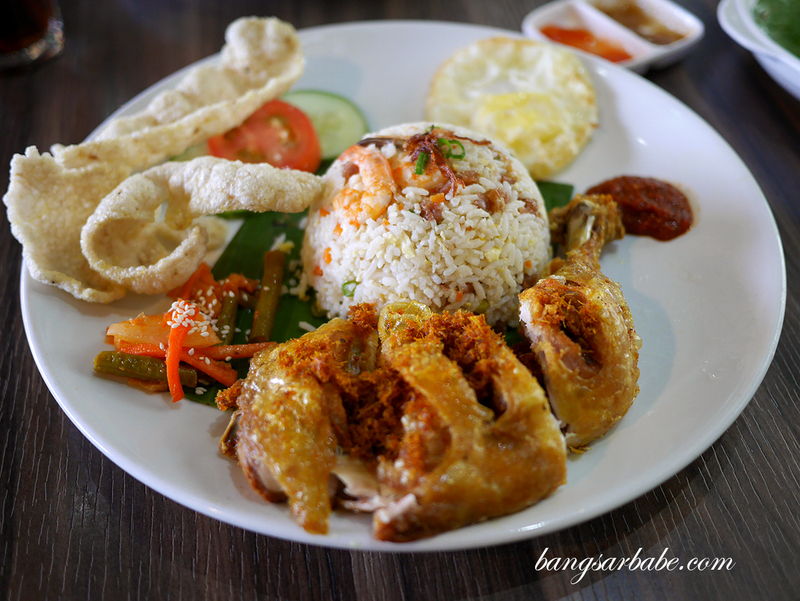 Instead, try the nasi goreng ayam berempah which is similar to the nasi lemak but you get fried rice instead. 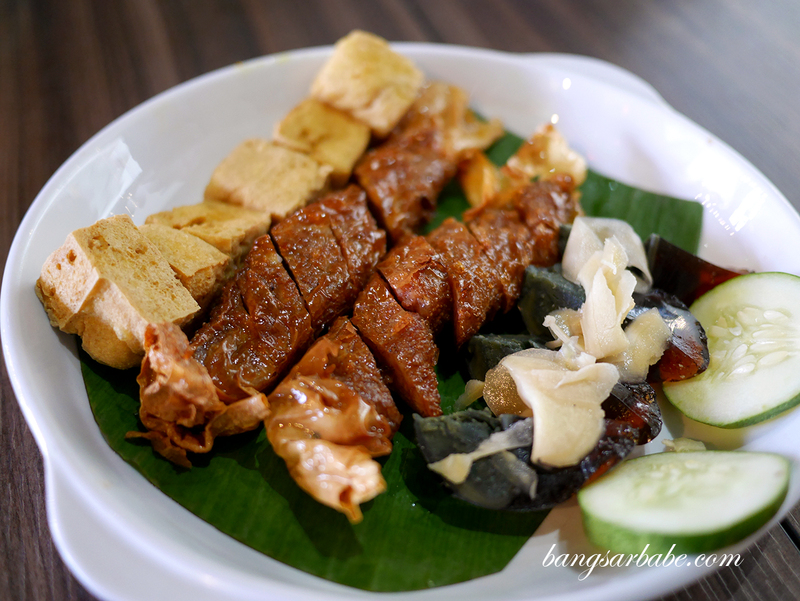 For those who can’t get enough of Penang loh bak, Heritage Village serves an alright version so if the craving hits, give this a shot. Verdict: Didn’t care much for the nasi lemak but the asam pedas is pretty good.